Pola Nirenska arrived in Washington D.C. in 1951. Modern dance was still in its early years; an art form of pioneers. The District was open territory for the development of Modern Dance. There was no Kennedy Center nor Washington Performing Arts Society. Pola brought with her the artistic heritage of Europe and the burden of historical, personal and familial demons. Pola was born in 1910 in Warsaw, Poland. She moved to the United States in 1949 at the invitation of Ted Shawn. She moved to Washington, DC at the suggestion of Doris Humphrey. Pola became a cultural force, developing a method of modern dance training, teaching hundreds of students age four though professional. She also directed a company that performed regularly, and a was a leading choreographer in an era when modern dance was a little known and dimly understood art form in the district. This article will provide insight into Pola’s life and the impact she made on the development of dance in Washington, DC. Pola’s dance training was in Europe. She studied Dalcroze and dance as a child, but did not receive professional training until she attended the Mary Wigman School in Dresden, Germany at age 17. Her parents were reluctant to let her leave home at such a young age but, as Pola told the story, she locked herself in the bathroom and would not come out until they acquiesced. She graduated the Wigman School in 1932 and toured with the Wigman Company in the United States in 1933. Upon returning to Germany, Ms. Wigman fired the Jewish members of her company in compliance with Nazi regulations. Although Pola’s roots were in Poland, she relocated to Vienna which was a cultural hub of Europe. She established herself as a prominent figure in dance in 1934 with a solo titled “Cry” which won first prize for choreography in the International Dance Congress. Pola became recognized in Europe as a solo choreographer and performer, and toured as a soloist. The Nazi occupation forced Pola to escape to Italy and, ultimately, to London. Most of her family was not so fortunate. Seventy-five family members were lost in the Holocaust, although her parents and one of her three siblings survived and immigrated to Israel. In Britain, Pola worked with Kurt Joos and Sigurd Leeder. In later years she spoke of the horror of the London Blitz. Although she never recreated the prize-winning solo “Cry,” she later express a similar sentiment in “Shout,” a solo choreographed for Sharon Wyrrick in 1987. That solo was based on the terror she experienced while under the rain of Nazi bombsArriving in DC with an introduction to Evelyn De La Tour, Pola taught for La Tour for a few years and lived in a back room of the Studio. A photograph in the Washington Star in 1953 depicted the formation of the Modern Dance Council and placed Pola with other pioneers of modern dance in DC: Evelyn DeLa Tour, Erika Thimey (also a graduate of the Mary Wigman School), Ethel Butler, Hedi Pope, Mary Craighill, Virginia Freeman, Miriam Rosen, and Mary-Averett Seelye (among others). By 1957 Pola developed her own following of students and formed a performing company. They helped her raise funds to build a dance school on Grant Road, NW, which provided a home from 1959-69 for her teaching, performing company, and a modest but comfortable apartment. Aside from her teaching at the studio, she taught at private preparatory schools in the metropolitan area, and at the Washington School of Ballet.In the nineteen-sixties there were three major modern dance companies in the DC area. 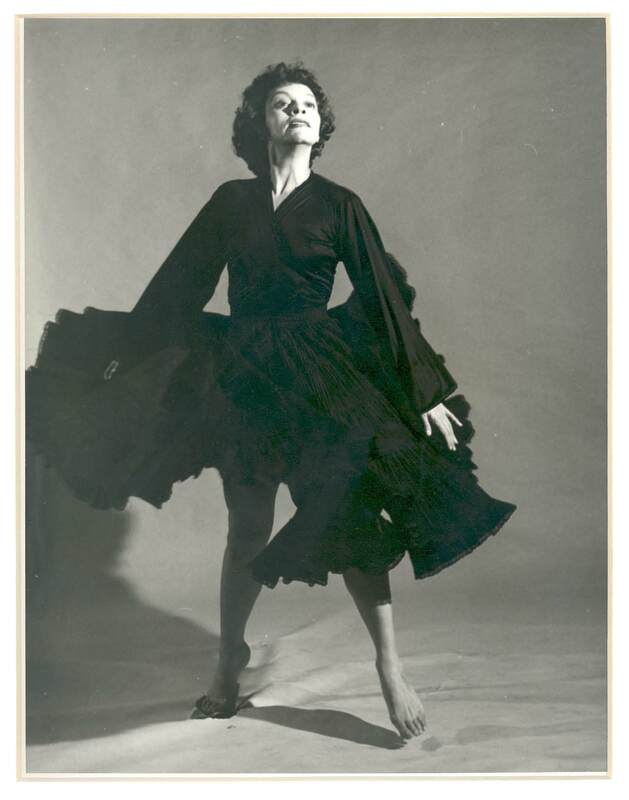 Ethel Butler was an early Graham Dancer, taught Graham Technique, and brought the legacy of Martha Graham to the community. Erika Thimey had also graduated from the Wigman School and developed a gentle dance training. Pola’s system of training demanded endurance, strength, physical power, and a dramatic intensity. Her natural musicality lent an affinity toward Doris Humphrey’s style, yet there was a dark and passionate current that permeated her work. With the Grant Road studio she now had the facility to create group works and experiment with American philosophies of choreography. Pola’s leading company members included: Beth Chanock, Nicole Pearson, Virginia Freeman, Rhona Sande, and Naima Prevots. At that time, there were no dance critics in Washington, DC. Pola telephoned Jean Beatty Lewis and asked her to review her concert. It was this call that launched Lewis’s life-long career. She became the first dance critic for the Washington Post. Nirenska also employed musicians and composers. Local notables Jean (Marie) Butler accompanied her classes, and Evelyn Loehoffer composed for choreography.Soon after Pola opened her studio, a handsome, elegant, and brilliantly intelligent, professor at Georgetown University visited her backstage after a performance. Jan Karski, also an exiled native of Poland, had seen Nirenska dance in Europe. He invited her to dinner. Pola refused the invitation, but suggested they meet for lunch. After a lengthy courtship, the couple was married on June 25, 1965. Jan Karski was a rescuer and Resistance hero from World War II. He had played an important role as a Courier for the Polish Underground and received international recognition for his heroic role in the war. (He had delivered first-hand observations of the conditions in the Warsaw Ghetto and German concentration camps, reporting directly to Anthony Eden and Franklin Roosevelt, among others. After his interview with Roosevelt, at which the President told him “It is a Jewish issue and not our issue,” his identity was revealed and he could not safely return to Europe.) He was given asylum in the United States, where he attended Georgetown University Law School and was invited to teach East European affairs, comparative government and international policy at Georgetown University and the Pentagon. In 1969 Jan convinced Pola to close her studio claiming that the pressure on her was too great. Pola “retired” for ten years but, in truth, spent those years in and out of St. Elizabeth Hospital, haunted by her experiences and mental illness. During this time, the couple lived in a beautiful contemporary home in Georgetown, designed by Pola, and she focused her creative talents on photography. In 1979 she realized it was imperative that she return to dance, and spoke with Liz Lerman about teaching at The Dance Exchange. But the world of Modern Dance and the young breed of dancers had changed considerably. Modern dancers were no longer pioneer spirits willing to unconditionally accept the words of teachers or choreographers. Dancers were learning to follow their individual paths, were respecting and caring for their bodies in ‘healthful’ dance practices, and were forging different aesthetic and artistic values. In the sixties Pola’s students and company members had been disciples. The dancers of the 1980s were independent artists. Pola’s classes were physically grueling; modern dancers were no longer using her techniques in training.Instead of teaching, Pola decided to concentrate on choreography and arranged with Jan Tievsky, Director of Glen Echo Dance Theatre, to reconstruct several works plus choreograph new works at Glen Echo. She began with the reconstruction of a solo called The Divided Self which she taught to Collette Yglesias, and then Tievsky, and a reconstruction of a Humphrey-esque group dance to Bach’s Violin Concerto in a-minor. Her reconstructions also included Entrances and Exits performed by myself and Greg Reynolds, and Exile danced by Liz Lerman. She choreographed several new solos for individual dancers: The Wounded Bird for Betsy Eigen, Longing for Sue Hannen, Dope for Cathy Paine, and The Bag Lady for me. She performed a duet with Diane Floyd in which she commanded the stage and Floyd’s movements while seated in a chair upstage. Her work was skillfully crafted and brilliantly musical. Major performers in Washington, DC were eager to perform Pola’s choreography. She had made a comeback. When Pola and Jan married, they agreed they would never speak about “the war.” The vow was broken when, in 1980, Jan was asked to testify before Congress for construction of the Holocaust Museum. Steven Spielberg filmed Karski in their home for the Shoah documentary of Holocaust survivors. With the eruption of memories, Pola began to choreograph the four works that became identified as The Holocaust Tetralogy.The first piece choreographed became the second section of the final work. The Dirge (music by Ernest Bloch, Concerto Grossi) was a Death March expressed in a sculptured horizontal criss-crossing of the stage as 5 figures consoled one another with weighted grief, intimacy and determination. It was a powerful contemporary resurrection of German Expressionism. The first section of the Tretralogy (choreographed second, in 1981) foreshadows historical events. The dark mother figure portends the atrocities. Her young daughters refuse to acknowledge the foreboding warning. As the mother turns to exit alone, the section ends with one daughter clinging to her. She is lifted and carried out. Wyrrick’s solo, Shout, mentioned earlier in this article, became the third section. It was not originally envisioned as part of the Tetralogy, but was included when Pola created the final section, The Train. Pola began choreographing The Train in 1988 for a planned full-evening concert to be performed at the Kennedy Center’s Terrace Theatre. The Train was about ‘The Final Solution’ of the Nazi’s, with images of the box car and gas chamber slaughters. The dancers died one-by-one, gasping and convulsing individually as remaining survivors cowered in pained helplessness. One by one the daughters struggle and die. In the end the mother also succumbs, railing against a God that could allow such humanly perpetrated inhumanity. Choreographing The Train pushed Pola over the edge for a second time. Jan called each of the dancers and said Pola was ill and could not rehearse. In fact, she had a paranoid episode; a second “breakdown” and, although she remained at home, was living in a nightmare. The concert at the Kennedy Center was cancelled.Pola eventually finished The Train and the group performed the full Tetralogy at Dance Place on July 28, 1990, Pola’s 80th Birthday. Two years later Pola died. Jan reported she fell from their balcony on the 11th floor. We never spoke of what we knew. 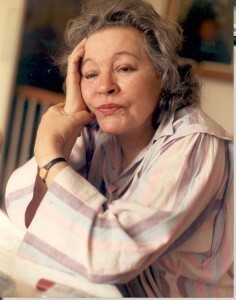 Pola’s legacy survives in a collection of scrap books, programs, notes, films and videos at the Nirenska Collection at the Library of Congress, and through an annual award established by her husband, Professor Karski, that is administered by the Washington Performing Arts Society. Rima Faber, Ph.D. (American University School of Education, 1997), M.A. (American University Dept. of Performing Arts, 1994), and B.A. (Bennington College Dance Major, Psychology Minor, 1965) studied with dance pioneers Blanche Evans (1947-1951), Anna Sokolow (1952-1957), Martha Graham (1957-1961) and Merce Cunningham (1968-1971). She founded and directed Consolidated Energy, an experimental dance nucleus in New York (1971-1978). After moving to the Washington, DC area in 1978, she danced with Liz Lerman for two years, and then performed as a soloist for Pola Nirenska from 1980 until 1992. In 1998, Dr. Faber was instrumental in forming the National Dance Education Organization and served as founding President, founding Executive Director and, currently, Program Director. She has helped NDEO build into the foremost organization serving as the voice for dance arts education for private schools of dance, PreK-12, higher education, dance arts agencies, and community programs. She has chaired task forces to develop standards in dance for early childhood and children 5-18 years of age (PreK and K-12). I thought of Pola today as I have often done in the past many years. I have googled her many times. Today I saw this article. And this was there. What a beautiful article. Thank you for that, for her. I miss her. I know many others do also. I am living in NC now, working with children in a different way. It is intense but meaningful. I remember working for you that short time and I thank you for that. I happened upon this article when revisiting my dance years! Nice to read, learn and remember Pola and my friends.